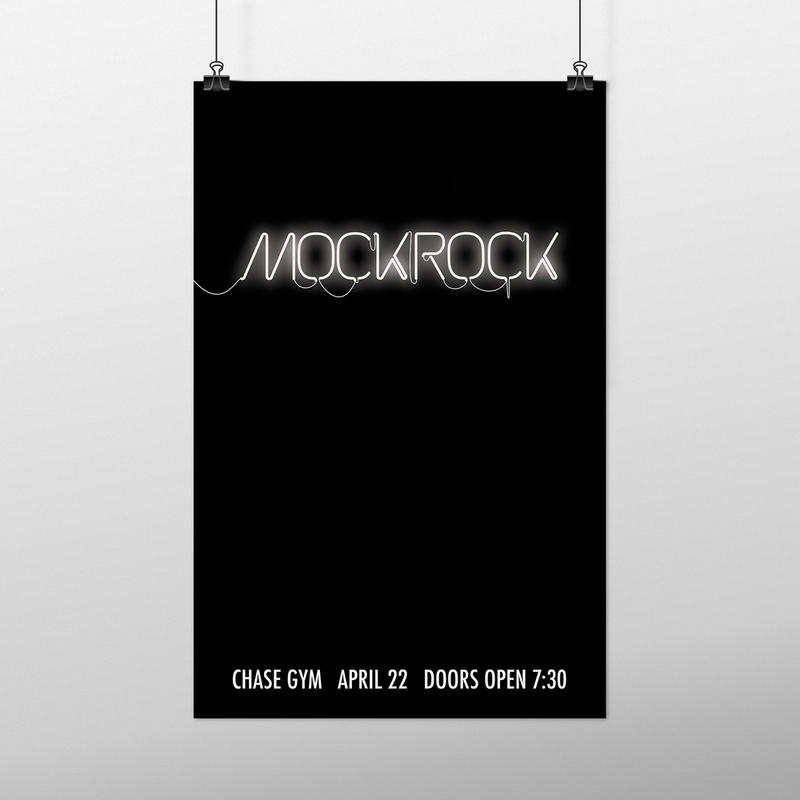 Mock Rock is one of the biggest campus wide events at Biola University. 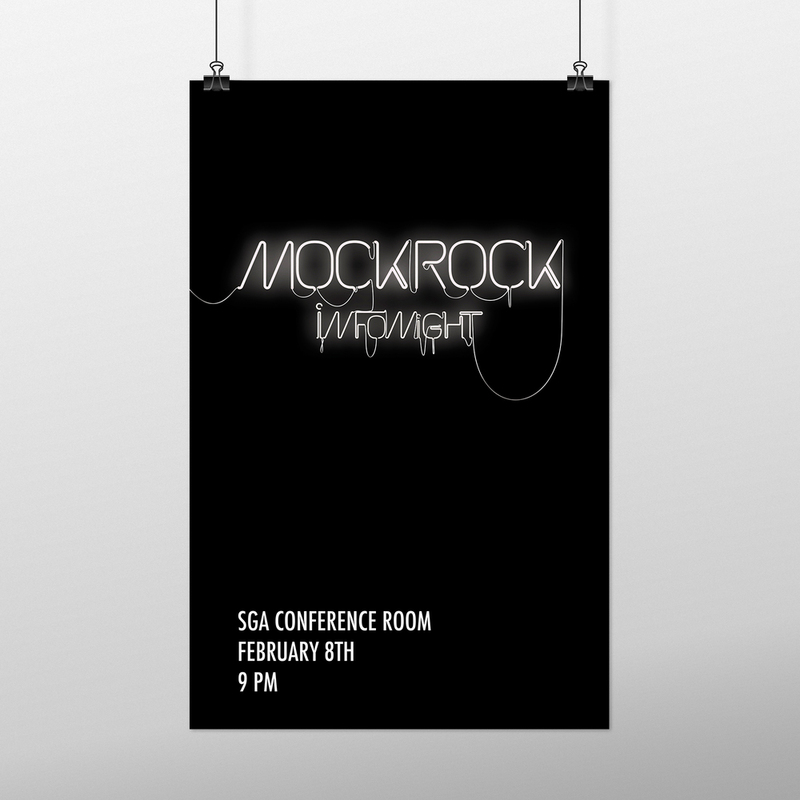 Being one of the designers for Student Programming and Activities, I was charged with branding the event alongside the Music and Arts coordinator. This event consisted of many different design needs including posters, projections, tv ads, instagram posts as well as a physical neon sign based off of my designs.